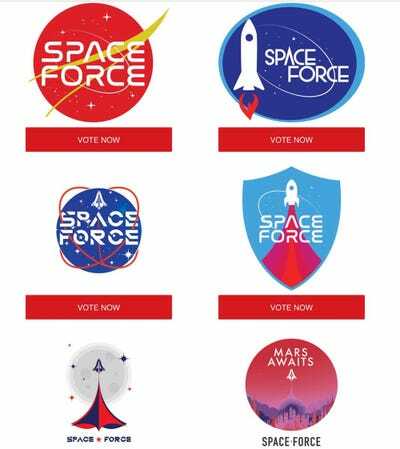 TwitterPresident Donald Trump is asking supporters to vote on a logo for the ‘Space Force,’ a new military branch he’s asked the Pentagon to establish. President Donald Trump’s campaign sent an email to supporters with potential logos for the “Space Force,” a new military branch the president has instructed the Pentagon to establish. Vice President Mike Pence on Thursday outlined the administration’s plan for moving forward with the Space Force, including specifics on instructions given to the Pentagon. Lawmakers and senior military officials aren’t as enthusiastic about the proposed “Space Force” as the White House. 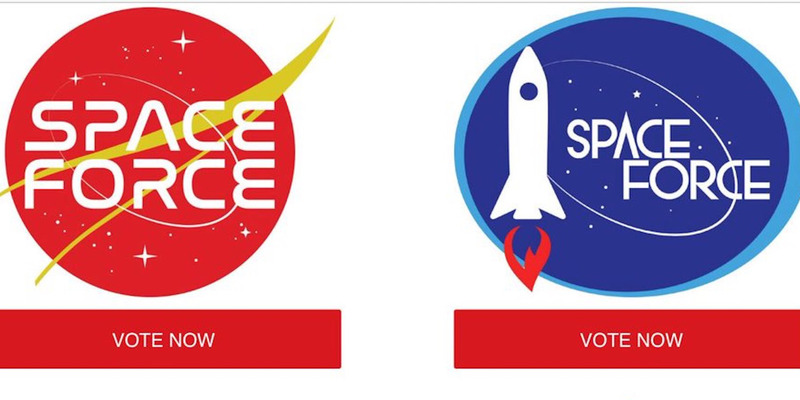 President Donald Trump’s campaign on Thursday sent an email to supporters with potential logos for the “Space Force,” a new military branch the president has instructed the Pentagon to establish. The email asks supporters to vote on what they think the best logo is, providing six options. The Trump campaign email says it wants to give Trump supporters “a final decision on the design we will use to commemorate President Trump’s new Space Force–and he wants YOU to have a say.” It also asks for donations. But creating a new branch of the military requires congressional approval. Lawmakers slashed a proposal to establish a “Space Force” last November, and there appears to be little enthusiasm for the idea in Washington. Senior military officials – including Defence Secretary James Mattis – have advised the president against creating a Space Force, warning it would be a costly endeavour that would take resources away from current military branches already performing space missions. The White House has not let such concerns hamper its ambitions, however. Vice President Mike Pence on Thursday outlined the administration’s plan for moving forward with the Space Force. The plan included instructions for the Pentagon to draft a legislative proposal on the creation of the new military branch for Congress. “The time has come to establish the Unites States Space Force,” Pence said at the Pentagon. “Our administration will soon take action to implement these recommendations with the objective of establishing the United States Department of the Space Force by 2020,” the vice president added. The last time the US created a new branch of the military was in 1947 with the establishment of the US Air Force.